We’re proud of the high level of experience held by each team member, many of whom have been a part of our team for 20 years or more. Read our bios to learn about what truly separates All-Type Welding and Fabrication, Inc. from other providers—our dedication to stay at the forefront of our industry. Michael is one of the two original founders of All-Type Welding and Fabrication, Inc. Prior to starting the business in 1987 with Dennis, Mike received a two-year vocational degree in welding and fabrication and worked in the industry for nine years, the last three of which were spent as a general foreman. Mike has always been committed to ensuring all customers receive the highest level of service and quality, which is why he believes in continual training for all employees—it builds their skill sets, making them experts in the latest technology. As president and CEO, Mike is dedicated to meeting the highest standards of any customer and the needs of all employees. Some of his hobbies outside of work include fitness, hiking, and travel. Brett has joined All-Type Welding and Fabrication, Inc. with over 26 years of experience in fabrication, machining and design. Brett started his career at a sheet metal shop in Chicago that performed punching, laser cutting, plasma cutting, stamping, bending and welding. 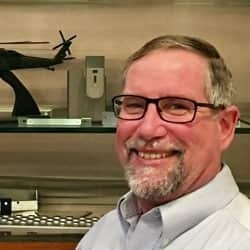 His career moved him to Northeast Ohio in 1998, where he has worked in manufacturing for two OEMs for the last 20 years. Brett understands that in this industry you have to react quickly to your customer needs and be able to produce quality products. In his free time, Brett enjoys hiking with his wife, cooking, fishing and home brewing. Before joining ATWF in 1994, Mark worked as a fitter welder and also as a general foreman at another local fabrication company. Mark was hired as a fitter welder and has been involved with many first-run and prototype projects. Quality and craftsmanship have always been Mark’s goal no matter how big or small the job. Mark has trained with new employees and managed shop inventories. In 2010, Mark was put in charge of the welding department. 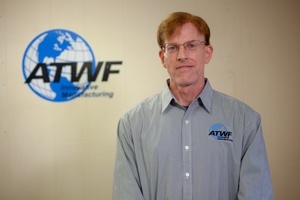 In 2014, Mark was given the position of quality assurance manager, where he continued to make sure that ATWF’s customers received the high quality that the company is known for. Mark accepted the position of plant manager in 2018 and looks forward to the challenges and rewards as part of the new management team. 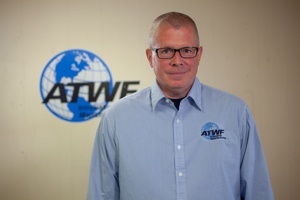 Before joining ATWF in 1994, Allen worked at Forest City Auto Parts for seven years as a stocker/driver before being promoted to shipping and receiving supervisor. As shipping and receiving supervisor with All-Type Welding and Fabrication, Inc. Allen looks after coordinates, manages and leads a team providing all aspects of identifying work procedures, monitoring productivity, packing products and preparing them for a timely delivery. Allen helps monitor and oversee both outgoing and incoming shipping activities nationally and internationally to make sure that everything being received or shipped out is in perfect condition. Before joining ATWF in 1994, Mario had attended the Police academy and worked part-time as an officer for Northfield, Ohio. Mario always had an interest in Sales and has outstanding social skills he proposed selling for ATWF as a Sales Rep and learned the company’s capabilities built a strong customer base that 25 years later still do business with ATWF. As the account executive for ATWF, Mario is responsible for customer service and helping with quoting any new potential or repeat business. Additionally, Mario works with the ATWF team to review new upcoming projects with customers and make sure orders ship on time. Dennis co-founded All-Type Welding and Fabrication, Inc. in 1987. He brought a strong technical background to the business, having previously worked as a metal fabricator and welder. 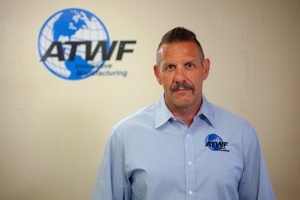 Since founding ATWF, he’s created a strong set of company values that are built around quality workmanship and customer satisfaction. 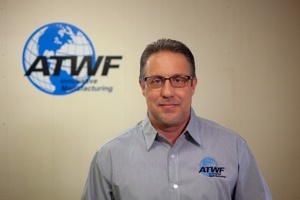 In his commitment to ensure continual company growth and improvement, Dennis works to equip ATWF with the latest technology and most state-of-the-art equipment available. As a Director, Dennis is dedicated to All-Type Welding and Fabrication's ongoing financial stability. In his free time, he believes in giving back to the community and has served on the Village of Glenwillow’s Architectural Board of Review for 13 years.